The hostess starts with a run-on sentence that needs to be finished, and everybody keeps adding words to the sentence. Hostess: "Once there was a baby girl named ...."
1st Guest: "Once there was a baby girl named Michal..."
2nd Guest: "Once there was a baby girl named Michal who was born..."
3rd Guest: "Once there was a baby girl named Michal who was born on July..."
4th Guest: "Once there was a baby girl named Michal who was born on July 4 ..."
Each guest has to repeat the whole sentence before adding words to it. When a guest forgets a part of the sentence, she/he is "out". The guest who can remember and keeps on constructing the sentence until the story has an ending, wins the game. Who's that Baby? That ... Was ME! This is really a fun game that can warm up the atmosphere since most people like to guess how the guests looked like at a younger age. Ask each guest to bring a baby picture of her/his. Collect each picture and put on a big board. Provide the guests with a piece of paper and a pencil and have them write down on each picture whose picture they think is it. Put a number beside each picture so they can be referenced). At the end of the game, reveal the answers and see who gets most of the correct answers. How Many Baby Items Can You Name? 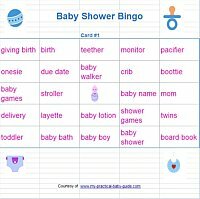 Ask each of your guests to write down as many baby products as they can like stroller,crib,bottle,rattle etc during 5 minutes. This game sounds easy but towards the last few minutes, the guests will start racking their brains for more words. The guest who writes the greatest number of baby products wins a prize. 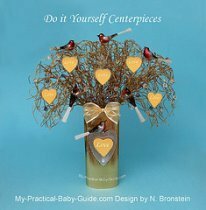 Never Say the Word "Baby"
Have each woman place a necklace with a pacifier around her neck when she gets to the baby shower. 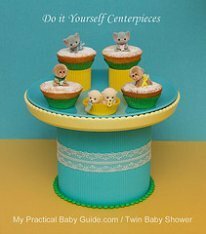 When the party starts, tell your guests that they are not allowed to use the word "baby" during the baby shower.Whenever someone says the word "baby", any woman who calls it out gets a pacifier from the woman who stated the word. At the end of the baby shower, the woman with the greatest number of pacifiers wins a prize. 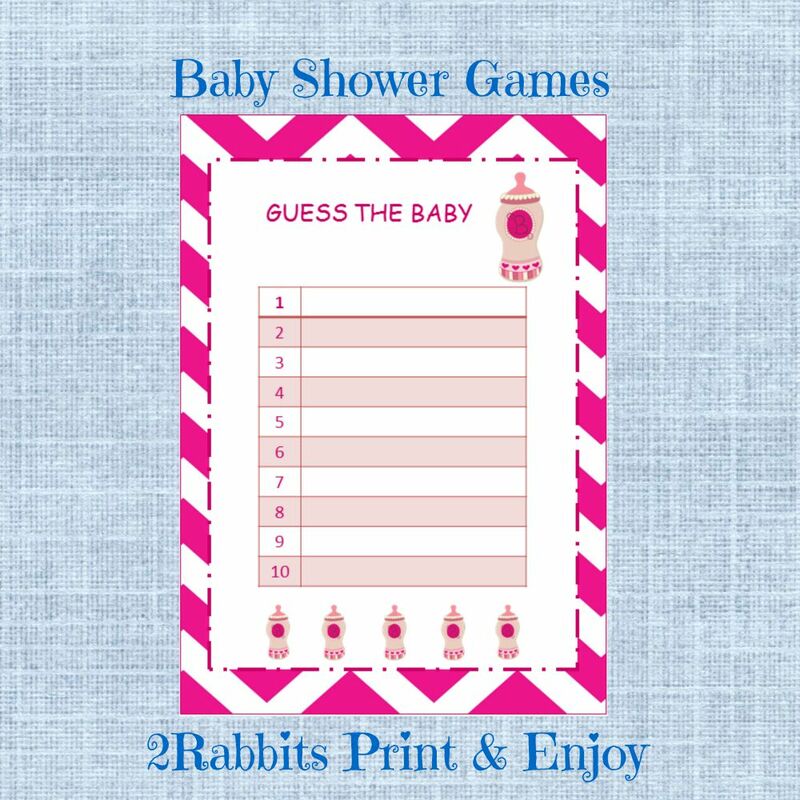 You can start the baby shower with this fun game. The guests try to figure out what is the size of mommy's tummy. 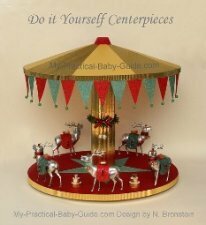 Give your guests a ball of yarn and a pair of scissors. Each guest cuts of a piece of yarn that will fit around the tummy of the mommy to be . No one can put the string around themselves or around each other to make a guess. After all the guests finish, the mommy to be wraps each string around her tummy and the guest who guessed the closest length wins the game. 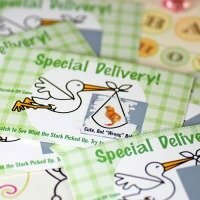 We have designed some cards and matching sign especially for this kind of game. How Many Candies are in a Bottle? 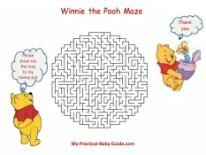 This is one of the challenging game and one of the simplest to prepare. 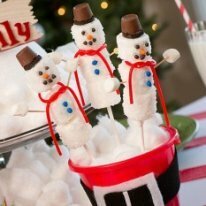 Fill a baby bottle with gummy bears, jelly beans or some other suitable candy. Count them as you fill the bottle. Each guest needs to guess how many candies are in the baby bottle. The guest who guessed the closest number wins the baby bottle with the candies! 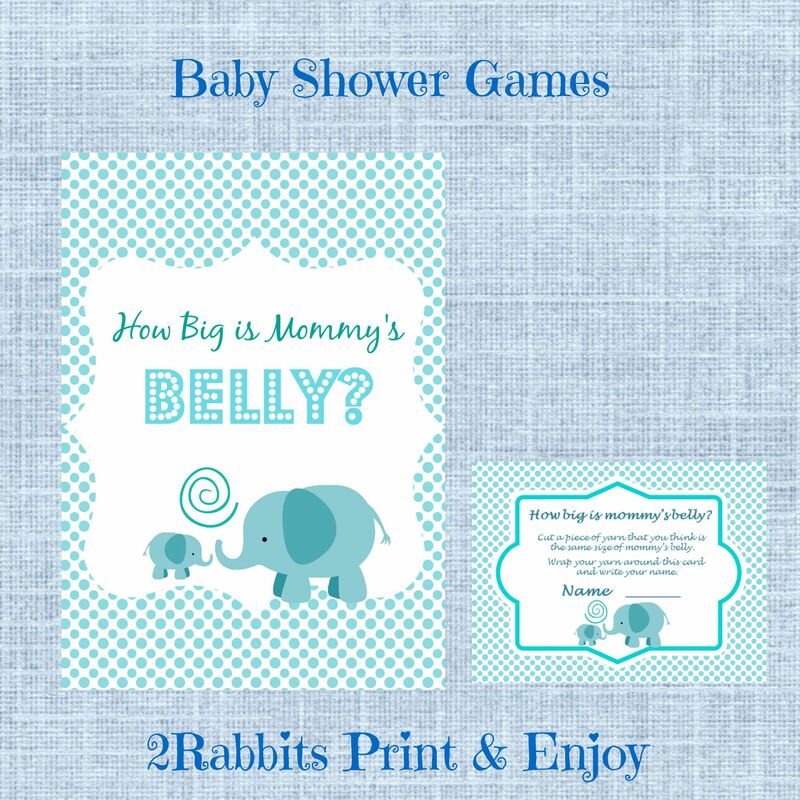 Here are some cards and matching sign that we have designed especially for this kind of game. In this game we will check how sensitive is our guests' sense of taste. Buy some jars of baby food, remove the labels after marking the lids with numbers and make a list of the contents of each jar. Each guest has to taste the food and guess what it contains. Give your guests a pen and paper ( or use the free printable paper) to write down the number of the jar and what they think is in it. The guest who got the highest number of correct answers wins a prize. 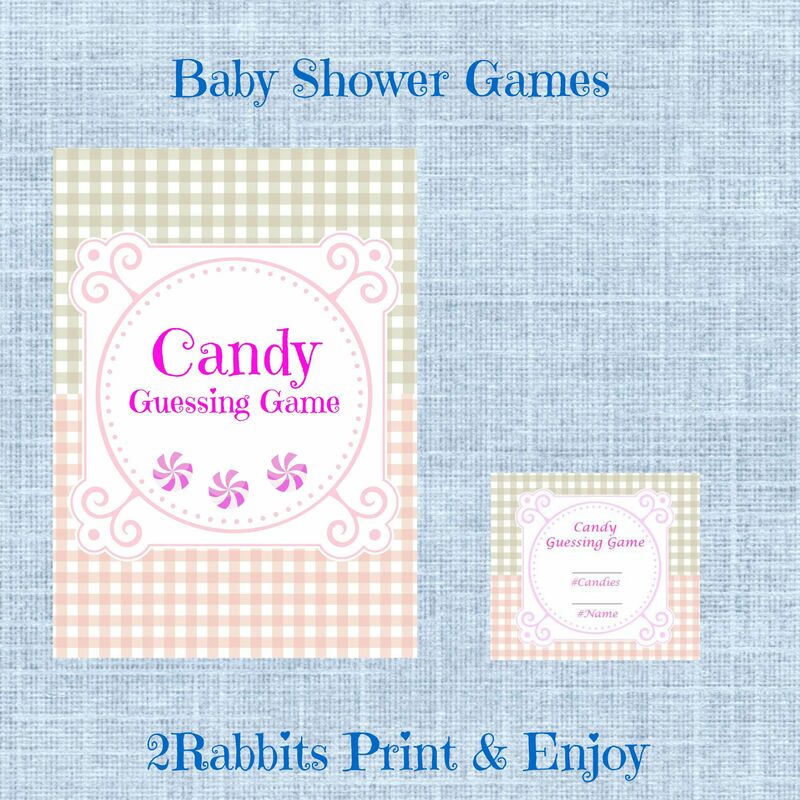 And especially for this game we have designed a printable game for a baby girl (There is also a game for a baby boy). Don't forget to use the coupon that we have created especially for visitors like you.